I’m guessing that a lot of educators share my thought process when looking for new curriculum or materials to use in classes. I want to keep my classes fresh and new, so what I use has to be engaging, but it also has to be quality and reflect the goals and objectives I want students to achieve. I was excited to have the opportunity to attend the Alice 3 and Java Institute for Community College Faculty a couple weeks ago, and am even more excited to start using Alice 3 in classes after attending! In case anyone reading teaches anything Computer Science related, I thought I’d share a little about what Alice is and what we learned over this 4 day institute. So in short, Alice is a programming environment you can use to introduce logic and programming in a fun, exciting, engaging, non-scary way. I’ve only taught our CIS-115 Introduction to Programming and Logic class a couple of times, but I distinctly remember one thing about teaching it- the look of fear on some of my student’s faces after reading terms like algorithm, variables, and strings on the syllabus. Last fall when teaching the class, I used a program similar to Alice, but found that it didn’t have the direct correlation to Java or C++ that I was looking for. Enter Alice. 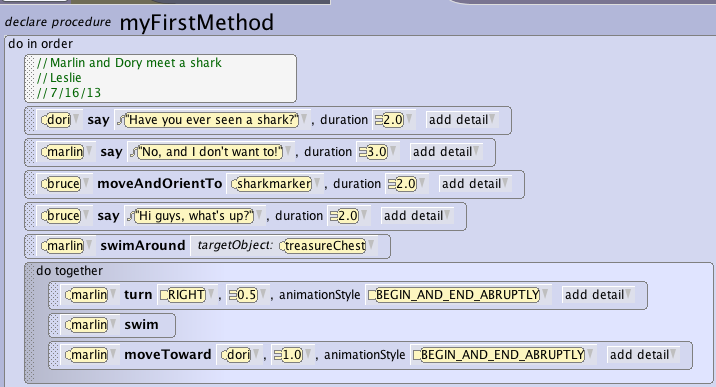 First of all, how could you not have fun with something like this, where our first assignment was to create an animation scene from Finding Nemo? 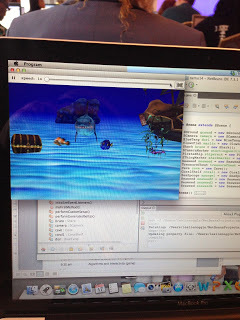 Throughout our 4 days, we learned all about problem solving using Alice, how to set up scenes, how to create motion, design algorithm, procedures and parameters, built-in functions, creating our own functions, variables, strings, and how to transition to Java using NetBeans. One of the hardest things to get the hang of when writing code (for students and for me) is syntax! I remember back when I took my first programming class staying up all night writing code and running, writing code and running, to realize after tons of time spent searching that my issue was usually one little punctuation mark out of place or error in spelling keeping everything from working. Of course, just using something like NetBeans or Eclipse helps with that immensely, Alice takes it a step further. Imagine being able to teach logic, and introduce students to the concepts of programming by letting them actually program without worrying about syntax. That’s exactly what Alice will allow you to do. I really like how easy it is to create in Alice, but also how seamless the transition to Java is. Below you can see how this simple scene is written in Alice, then the same scene looks in Java. So you can teach the concepts, the language, the terminology all in Alice, and have students build much more complex programs than they could in Java or another language. 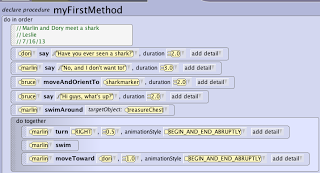 Using a plug-in for NetBeans, you can import your Alice program straight into NetBeans so that you can see how it looks in Java, then make any modifications you want. I think looking at the above, you can see what a great teaching tool Alice would be for anyone teaching Java or C++. Even if you’re not a computer science teacher, I can see Alice being a great tool to teach about story and creative writing. To set up a scene, you really have to plan things out, think about markers, view point, and more. One of the best parts, is that you can download Alice and supporting materials and resources for free from the Alice website at www.alice.org. If you’re looking for a new way to introduce computer programming, be sure to check it out! I’m even planning on including an Alice project into my CIS 110, Introduction to Computers classes. I’ll be using it primarily with college students, but I can see Alice being a great tool for middle school and high school students as well. I think the Alice Team did a great job not only teaching us about Alice, but also in constantly supporting and updating the program to make it better and easier for teachers to use! Well, for as long as I tried to deny it would actually happen- Google Reader really is going away. In fact, after this weekend, it’s gone for good! There are tons of blog posts out there offering suggestions for replacement RSS Readers, and after trying out a couple options I’ve narrowed it down to two I like. I thought I’d just offer up my opinion of both Feedly and Bloglovin. Both Feedly and Bloglovin make it super easy to import all of your feeds from Google Reader with just one click of a button. If you’re a Reader user anyway, this is a huge plus! However, I did notice that when I did this, Feedly kept the blogs that I had in different folders or labels separate while I’m having to put all my blogs into categories again on Bloglovin. As far as layout goes, I am leaning towards Bloglovin at this point. 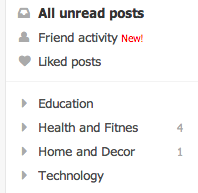 They both have a simple, organized layout, but I am enjoying the way unread posts display in Bloglovin a bit more. I also like seeing the categories on the right so I can quickly gauge how many unread posts I have. For me, Bloglovin wins this one. I have really enjoyed being able to add new content, or just test out reading new posts or blogs by glancing through the Popular Posts and Top Blogs sections that are listed at the top of the screen. These are also available on the app, which is great since (during the summer at least) that’s where I spend most of blog time. Of course you can also add content by typing in a blog name, keyword, or URL. While I do prefer Bloglovin for this, Feedly makes it easy to add content as well! I’ve had success adding to both readers using # searches. 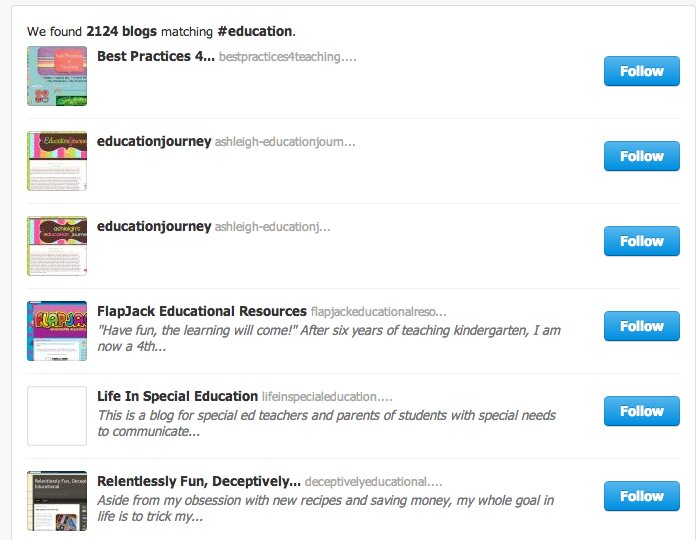 Here’s an example of the results when I searched #education. I would love to see an education category added to both services…maybe with Reader leaving us that will eventually happen? 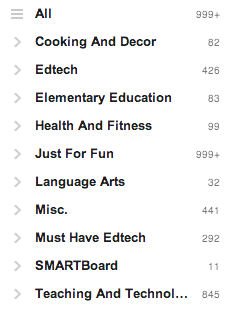 So, those are a couple of the things I looked for when deciding on a replacement for Google Reader. For me, Bloglovin wins for now. (And it should be noted that their app is pretty awesome too!) You can follow this blog on Bloglovin using the link at the top of the post! 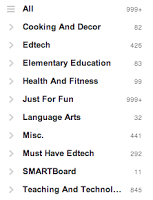 What are you using to replace Google Reader? There are many other ways I’m using Drive this year, but those are probably the ways that have the most direct student impact. None of these ideas are earth-shattering in their innovativeness or newness, they sure do make my (and my students’ lives easier)! How do you use Google Drive? This semester I’m teaching several sections of an Introduction to Computers course, which is an interesting class to teach for many reasons. One of the most interesting things to me is the range of students that take the class. Even though the course is an introductory one, the ability level and background content knowledge level of students is all over the place. This can make for an interesting classroom culture. One of my teaching philosophies, if you will, is that students have to “do” in order to learn. I think this is particularly true in the case of technology courses. I can lecture and “book talk” all day long, but if students don’t take ownership of their learning, it doesn’t really stick with them. For this reason, I incorporate quite a few collaborative and self-guided individual and group projects in the course. In my previous job as an Instructional Technology Facilitator, I spent my days working with teachers and trying to convince them to do the same thing in their classes. Being back in the classroom (and for this, I don’t think there’s much difference in being in a K-12 classroom or in higher ed as I am now) has given me an opportunity to practice what I was previously preaching, and to reflect on whether or not it really works. Yesterday, in the fourth week of the semester, I gave one of my seated classes their 2nd project assignment. Their 1st project was a group effort and they created a Google Presentation. It was more directed from me. For this assignment, I gave them the option to work alone or form small groups. I also gave them a choice of topic (we were focusing on Digital Communications, and they had 5 topics in that area to choose from). I also gave them a choice of tools to use to create their presentation. I spent about 2-3 minutes quickly demonstrating about 6 different web tools, which included Prezi, Glogster, Mixbook, Voicethread, Slide Rocket, and a few others. I made sure to point out that my goal wasn’t to teach them how to use the tools, but just to show them a few different options. I also made sure they realized that part of the project was to spend time playing and learning the web tool they chose to use. They had the rest of class to get started, and they’ll have part of tomorrow’s class as well. Once they finish creating their project, they will post it to their blog and then spend time reading and commenting on each other’s posts. So yesterday, after I gave the assignment and made sure each knew how to get started, I gave students the option to either stay and work or put in their lab time elsewhere. And you know what happened? They all stayed. Even knowing the project wasn’t due until after next class, in which they have more time, and even though they had the option to go home, they stayed and worked. And not all, but most went ahead and finished the project so they can come in Thursday and write their blog post. They asked questions when they couldn’t figure something out or just to make sure they were doing something such as saving or submitting a link correctly. But they figured out how to create. And you know what the best part is? I saw some really awesome projects. 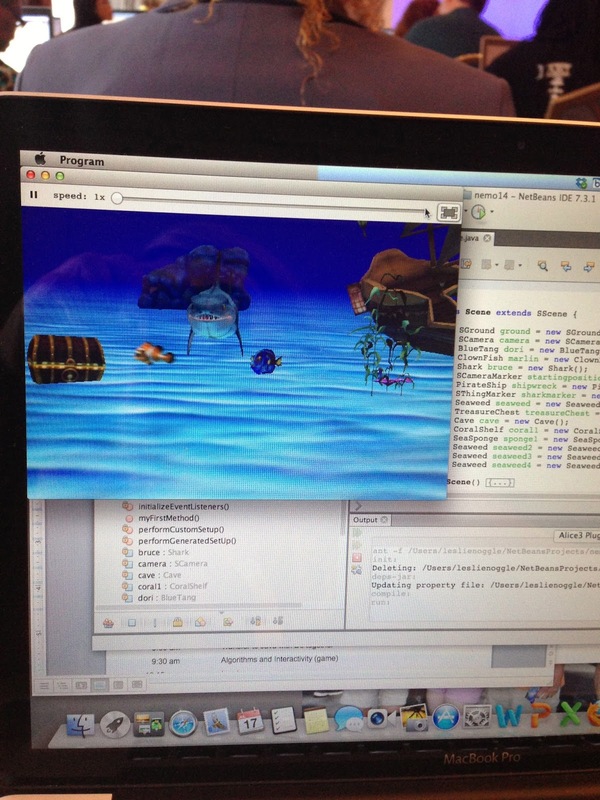 So these students who had never used these web tools before taught themselves to create some really great things. And was the objective of the assignment that they learn how to use Prezi, or Glogster, or Mixbook, or whatever? Absolutely not. But what they accomplished that I am most happy with is that those students who walked into class afraid to try anything new or touch a key that I didn’t ask them to touch learned that they don’t have to be afraid of computers. I think that’s one of the most important life and school lessons- not to be afraid to try. And I guess that’s what makes me sad about what I’m hearing from some of my K-12 teacher friends. Common Core or old SCS, there isn’t time to let students try. And fail. And do. Which is how we learn. So I’ve made some major changes in the job department in the last month, but I’ll be back later to give an update on that! First, I want to share something that I think is a super cute idea. 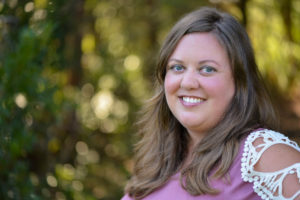 As I was doing my morning ritual of scrolling through Pinterest before I got up this morning (that’s addiction y’all), I saw a super cute idea from one of my favorite Pinners for teacher resources, Jennifer Jones. The idea was to use the App icons as headers for a Word Wall. Totally cute, right? So I repinned and tweeted the pin. After doing so, I realized that the link to icons was not to the individual icons, but to 1 image of all of them compiled. So of course, being the super geek that I am, I spent a little bit of time this afternoon finding icons and compiling them so they’d be simple for my teacher friends to print out. After a bit of searching, I was able to find all the letters…and even found multiple choices for a couple. I hope these are useful to some of you! You can see a preview of these letters to the right…but you can download the whole thing using the link below! 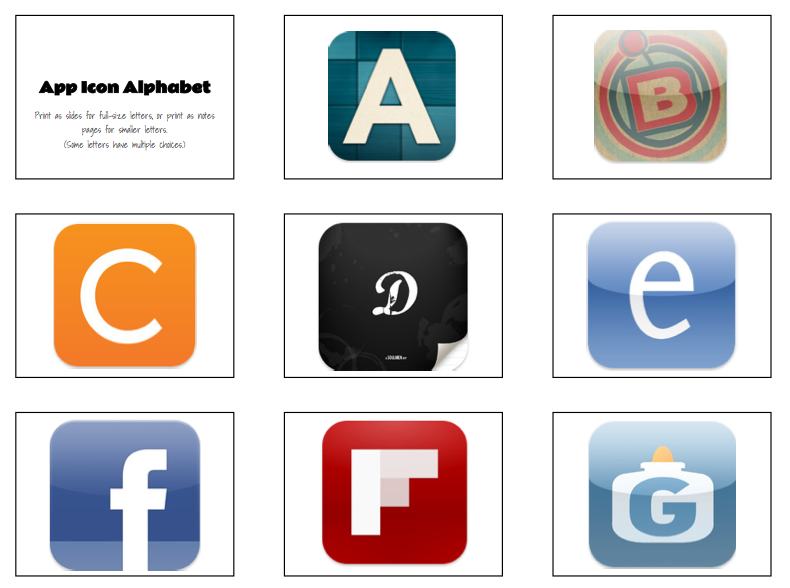 So what do you think- can you guess the apps these icons represent? Any changes I should make? Let me know if you have other apps that would make for better letters! I talked in an earlier post about the evolution of the use of blogging in my classroom. Whenever I mention starting a classroom blog to teachers, or do professional development sessions that involve blogs, there are a few ways to use blogs in the classroom that I seem to always mention. Here’s a list of a few ways you can use a classroom or student blogs in the classroom. Blogging is writing, so it’s pretty obvious that the go-to use of blogs is to have students write. A blog is a perfect place for students to keep a learning journal, reflection log, or writing notebook! For this, a service such as Kidblog is perfect for creating and managing blogs for younger students. 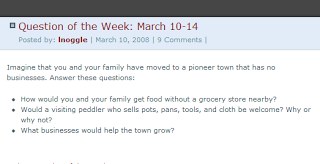 Older students or adult learners could use Google’s Blogger easily for this. This is a blogger blog ! When I was in the elementary classroom, I loved using my class blog as a center activity. Students rotated through the blogging station through-out the week. Each week there was a discussion question for them to answer or reply to. I posted the topic or question, and they replied back through comments. There were quite a few reasons that I loved using blogging as a center. Let’s be honest- as a teacher time is the one thing you never have enough of! 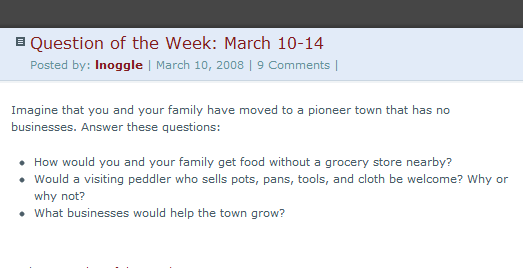 Each week, the only setup I had to worry about for this center was posting a question or topic. Also, depending on the need, the question or topic could be from any content area or subject! Finally, it was great seeing students answer the question and then be excited to reply back to others in the class! Another thing that my students always loved was looking at the stats from our class blog. In blogger, you can view your page views broken down by country. 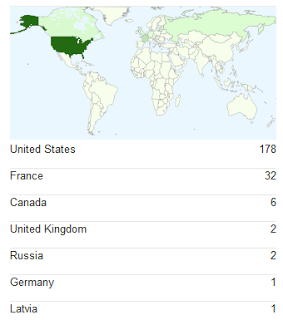 It didn’t take too long to get page views from countries around the world…and students were so excited about that! So not only were students motivated to make sure their writing was up to par with being seen around the world, but I could also use the stats as a way to engage students in learning about other cultures, countries, geography, and more. We could even pull mathematics in by using the measurement tools in Google Earth to measure distances between different places, or in upper grades by using the page view numbers and converting them into the fractional or decimal parts. 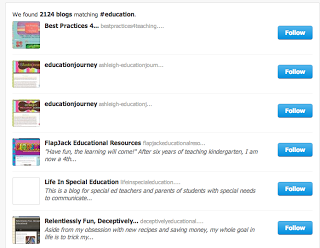 So those are 3 pretty simple ways to use a classroom blog. How do you use yours? Good morning! I’m still finding ways to procrastinate from working on my dissertation proposal, I’ve FINALLY starting setting up the domain that my brother and sister-in-law gifted me for CHRISTMAS. That’s taken long enough, huh? Anyway…for now at least this blog will still redirect, so it should be okay if you leave your reader feed set as it is. However, you can actually set your reader to the new URL at http://blog.leslienoggle.com if you’d like! Once I actually make some progress on the dissertation front, I’ll be working on my site more! I don’t know about any of you, but it has been a whirlwind summer so far! This week our county has started summer hours for 12 month employees, which are Monday – Thursday 7am – 6pm. It makes for long days, but I am really looking forward to having Fridays off for the next few weeks! I’m just now getting the chance to sit down and reflect on a few things from the school year, and I wanted to share one of the fun things I had the opportunity to do during the last couple weeks of school. I got spend some time doing one of my favorite things- working with 3rd graders! 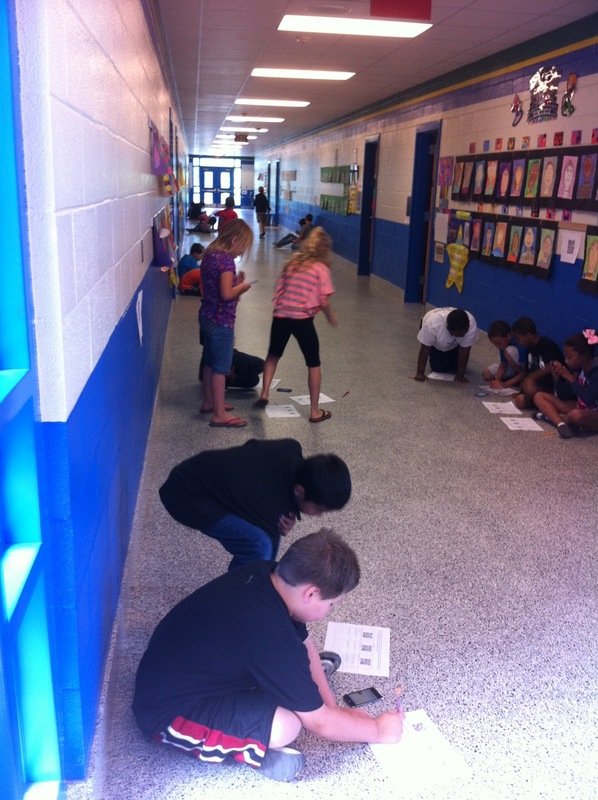 Mrs. Bare at Carr Elementary contacted me about collaborating on a social studies lesson focusing on inventors. We had the best time! 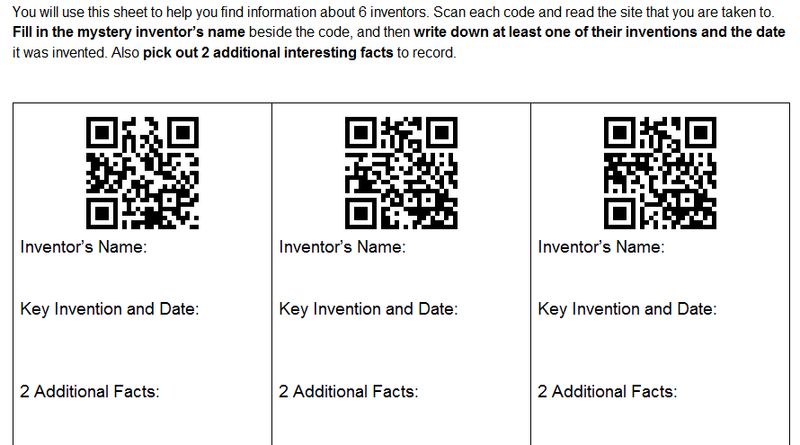 Once Mrs. Bare told me which inventors to focus on, I created a QR code for each inventor that took students to a biography page, video, or other resource for that inventor. I printed each QR code out on a single sheet of paper and posted them around the school (making sure to post in places where there was a wireless signal). 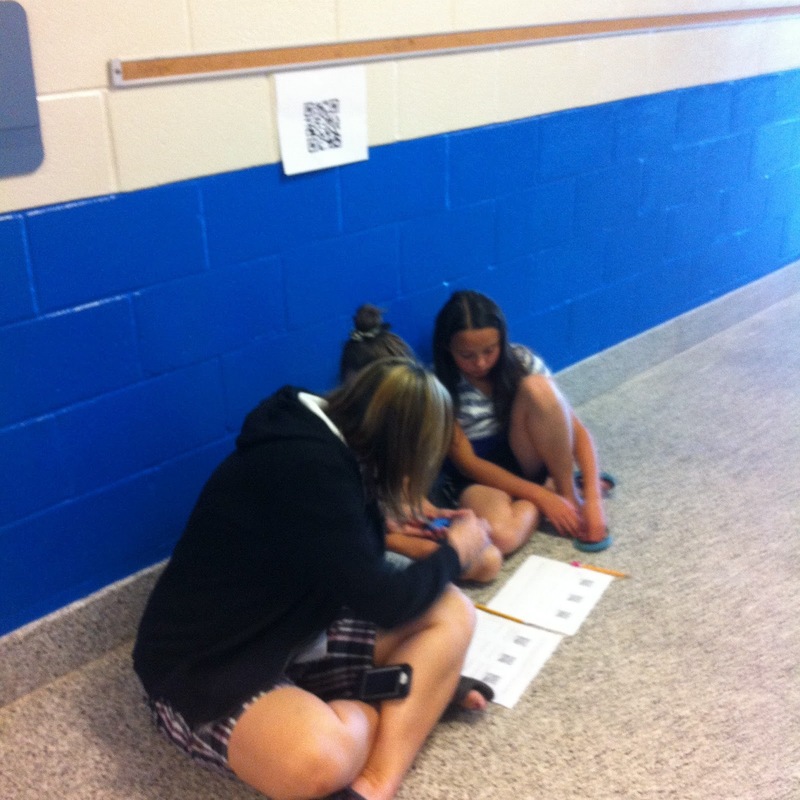 Students were paired up, and each pair was given an i-Pod touch. To complete the activity, students searched for the QR codes, scanned them using i-nigma, and filled in the requested information on their handout. 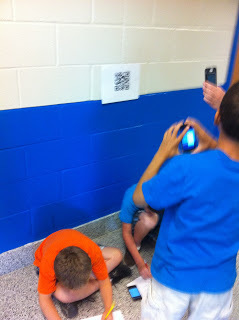 The QR codes were also on the handout, since I wasn’t sure they would be able to travel around the school that day. 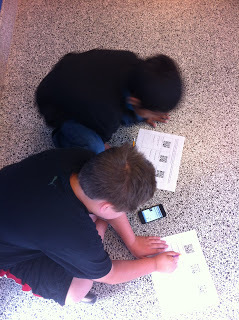 The activity took over an hour- and it was great to see students intent on reading the information on each site! They even asked for more time so they could watch the accompanying videos on each site. After the research portion was done, students could then take their information and use it to create presentations to share with each other. I loved doing this activity with this great group of 3rd graders! 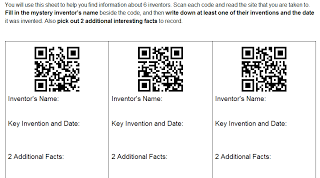 If you’d like the QR code printouts, student handouts, and lesson plan for this lesson just leave a comment and I’ll be glad to send it out or post it! Below you can enjoy some pictures of students hard at work. 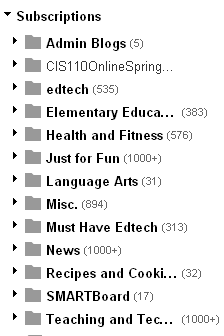 I took the time today to do something I haven’t done in a long time- browse through a few of the latest posts form the Elementary Ed folder on my Google Reader. You don’t think it’s really been that long? Oh trust me, I have evidence! Those numbers (which indicate the number of unread items in each folder) aren’t pretty are they? While these numbers are true, they don’t tell you that I’ve still kept up with Twitter through Hootsuite and Flipboard, and have done a little blog browsing on Flipboard, but obviously I’ve fallen way behind in the last few weeks. And yes, this is a crazy busy time of year, not just at work but also personally. But is that an excuse to fall behind or just stop reading the feeds I’ve subscribed to? While we all need a break sometimes, I don’t think it would be okay at all for me to just stop reading what other teachers and educators are doing, seeing their ideas, and keeping up with the latest issues and never pick back up with it. Within 10 minutes of looking through a couple posts in my Elementary Education folder, I had found several pretty awesome lesson ideas and teaching reflections. Here’s the thing- as an educator, I’ve pretty much signed up and agreed to be a life-long learner, right? Furthermore, in my current position, I also provide lesson ideas and have the responsibility of training other teachers. If I don’t keep up with what is going on in classrooms both in my county and globally, am I not doing a disservice to the teachers I serve? I think so. And by keeping up- I don’t mean by just knowing what vendors or other people in my position are doing. Neither of those are necessarily bad resources, but if I’m going to truly help teachers, isn’t it going to help me to get first-hand reports and ideas from people who are doing great things in the classroom right now? I think so! So, as we are immersed in the world of assessment next week and start to feel summer fever, just remember that there are other teachers just like us out there who are still publishing their great ideas. You may just find something that rejuvenates you for the rest of this year or excites you for the next!